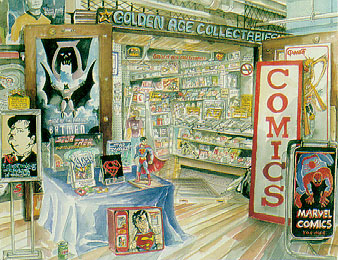 Golden Age Collectables - Pike Place Market. My most popular work is my limited editions -- they are matted out in pebble white to 12 x 16. Some may be sold out for the series is limited.